Truth time: two of my favorite states in the country are Montana and Wyoming. 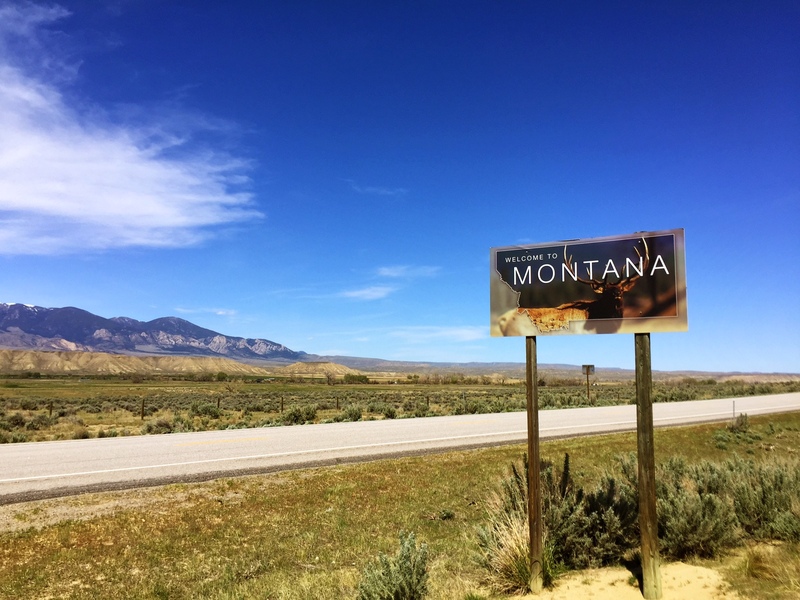 Sure, in the past we’ve joked about the (friendly) rivalry between Big Sky Country and the Forever West (you can read about the smackdown between Montana and Wyoming here and here), but the fact of the matter is that these two states are BFFs. 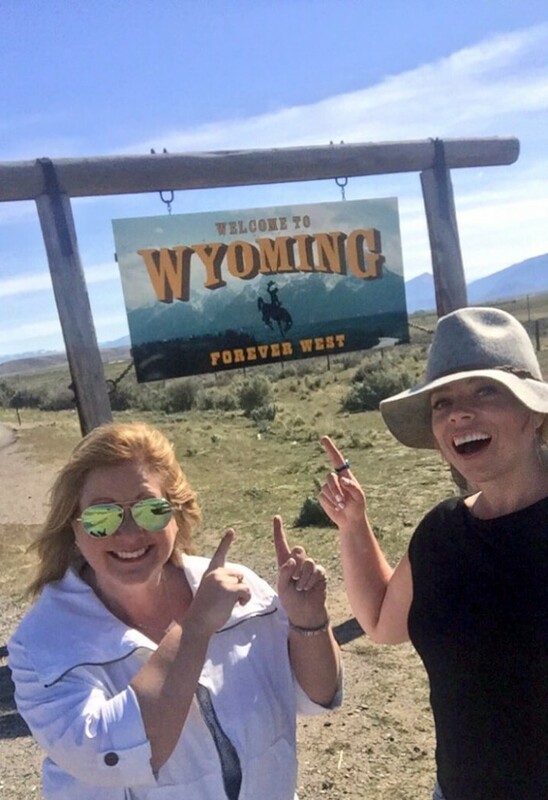 Montana + Wyoming = BFFs. For me, it’s just that I feel like the wide-open spaces and friendly people of Wyoming get me. 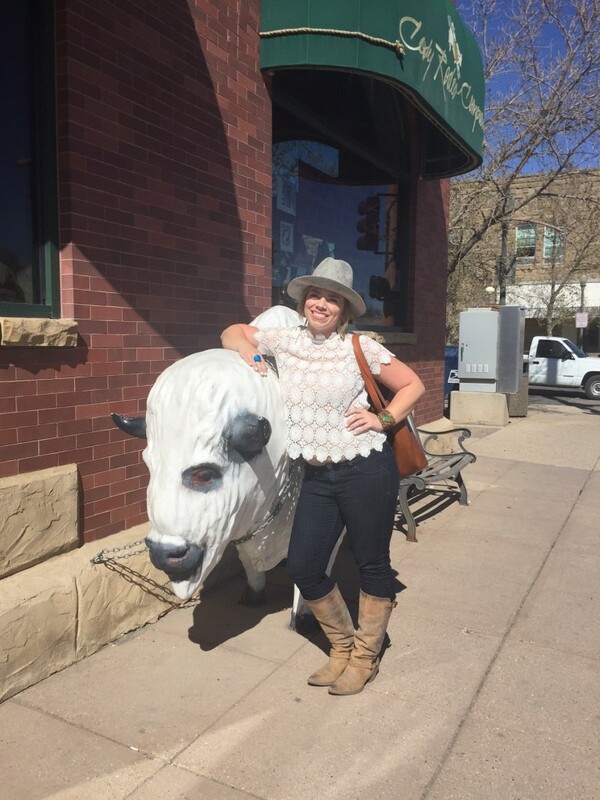 They’re like kindred spirits for this Montana girl that hails from the middle of nowhere Rocky Mountain Front. 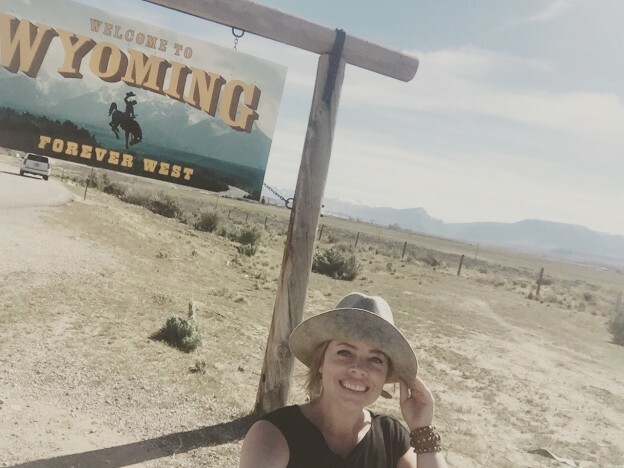 So when work duty called, I grabbed one of my best traveling buddies and we set off for a destination that was new to both of us: Cody, Wyoming. From start to finish: 406 miles. And I have to tell you, it was one of the best road trips I’ve taken in a long time. The weather was beautiful, the scenery was diverse and stunning and we enjoyed checking out many of the highlights along the way. Cruising a backroad between Columbus and Joliet. After several hours on the road, we came to the Montana/Wyoming border. And I don’t care how many state lines I’ve driven across in my lifetime, it’s always fun to hit a new one. Plus, these Montana girls love a good photo op! We all know I can’t resist a selfie. From here, we made our way to Cody and had some free time to explore the town. 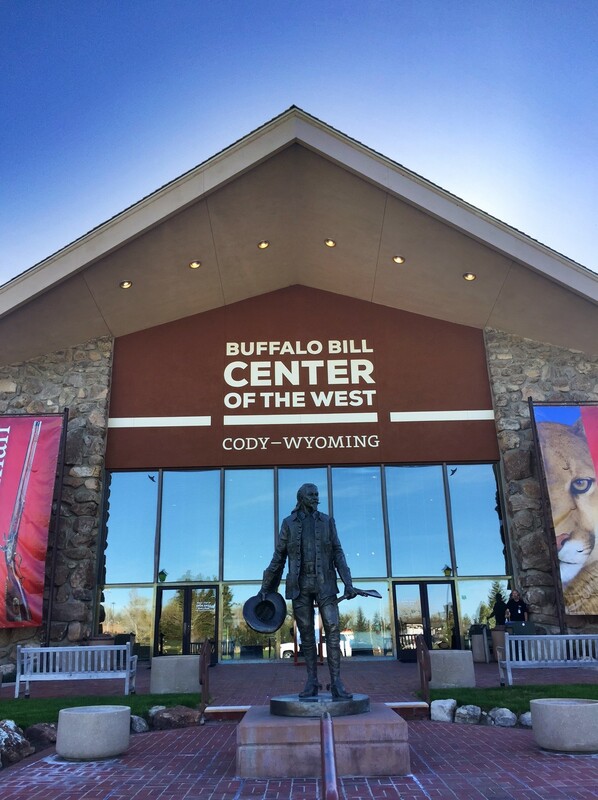 The Buffalo Bill Center of the West. 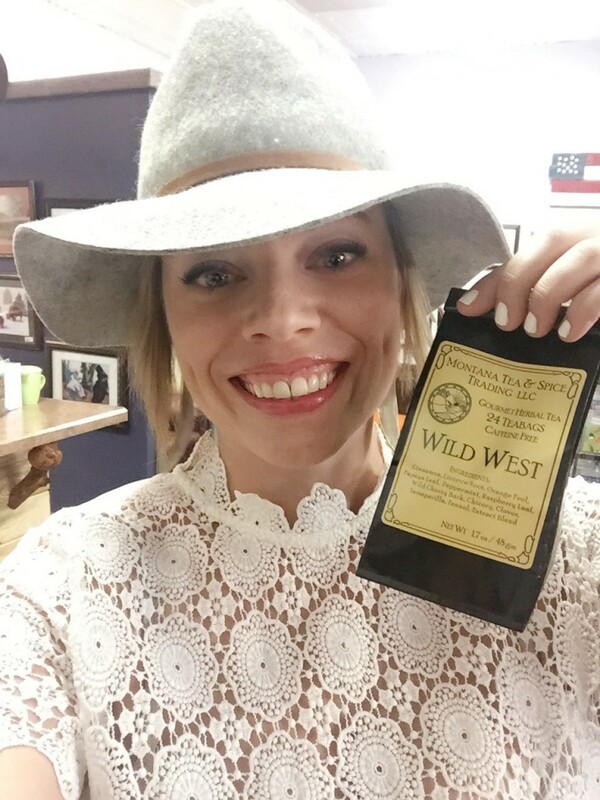 Legends Book Store had MONTANA tea! 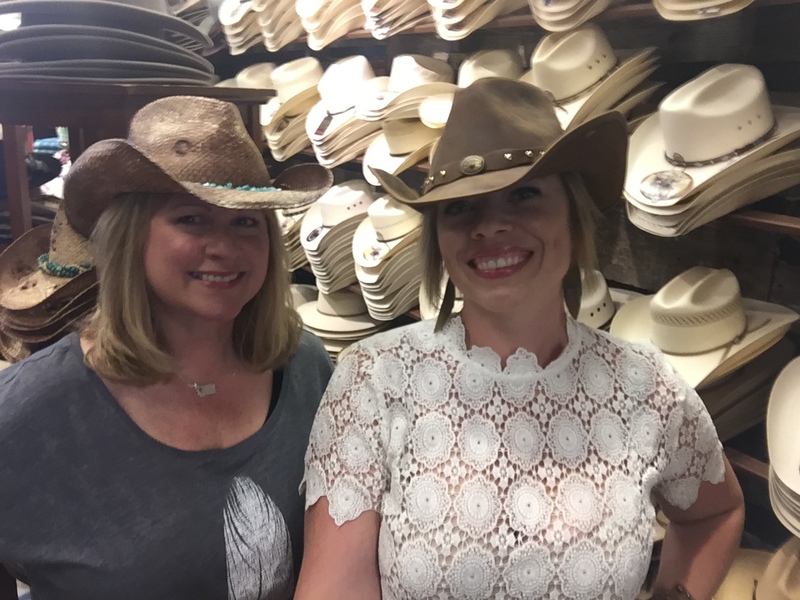 Just two cowgirls, wandering about town. 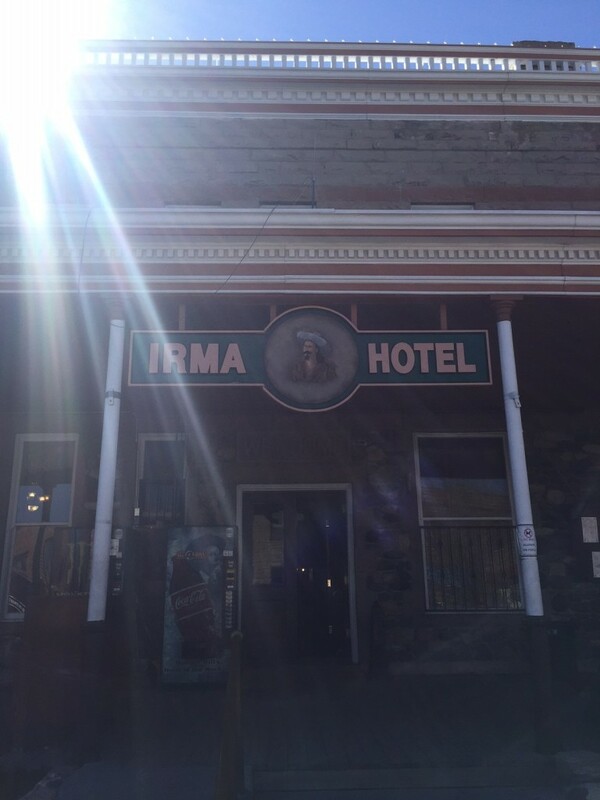 Oh hey historic Irma Hotel. 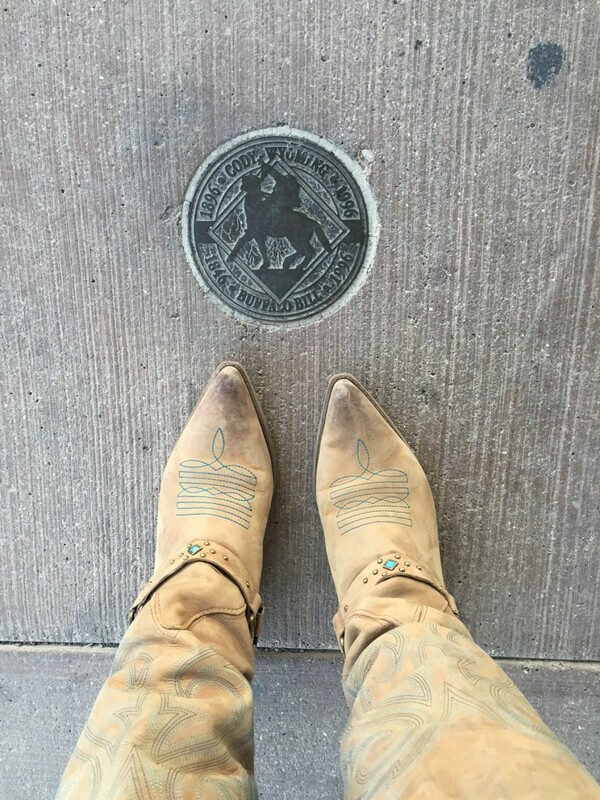 PS: the hotel was named for Buffalo Bill Cody’s daughter Irma. Buffalo Bill and the gang. PSA: this is the only bison you should ever approach. Going out with my boots on. -It’s super close to Montana. -Cody is one of the hubs for exploring Yellowstone National Park. 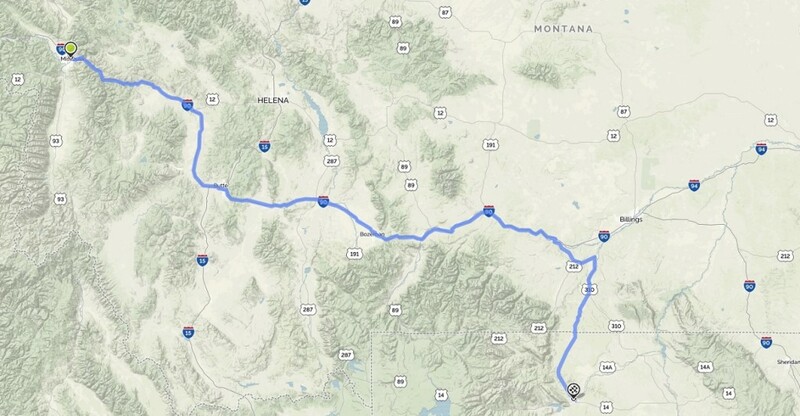 And it’s really easy to get to Montana from Cody, via Yellowstone. -It’s adorable and charming. Not even kidding, every shop we went into they asked where we were from (don’t worry, we proudly told them Montana) and they genuinely cared about our experience in Cody. 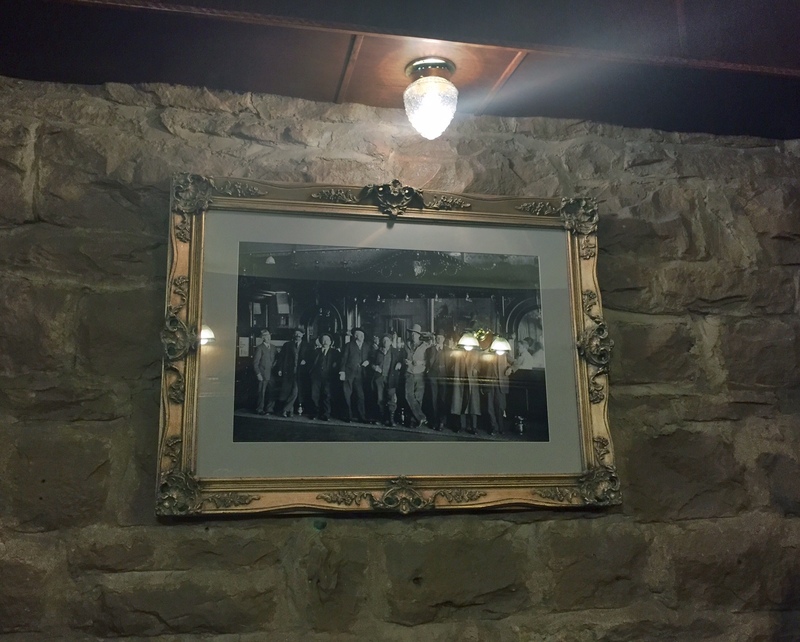 -I had the best steak (possibly ever) at the Proud Cut Saloon & Steakhouse. 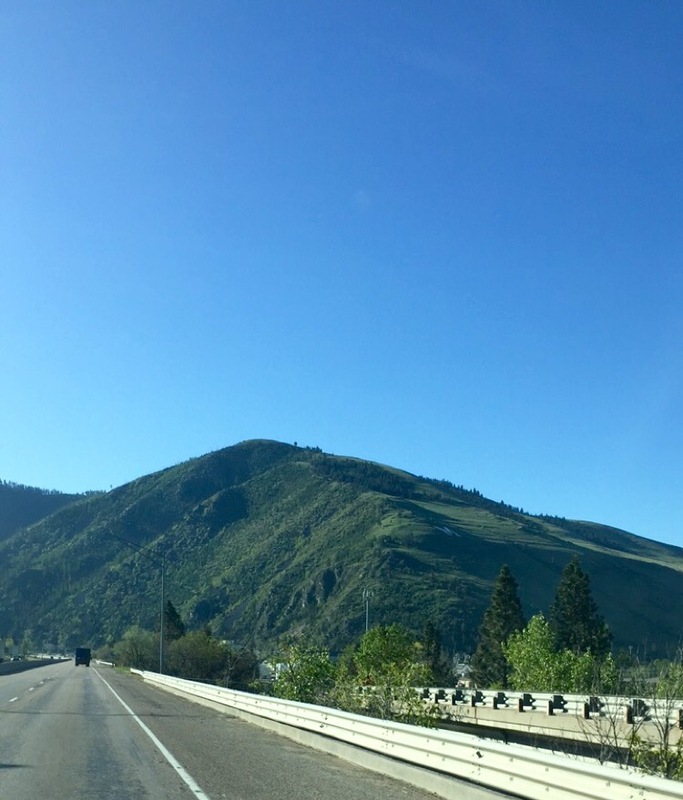 -It was an easy drive from my home base in Western Montana + the drive was seriously beautiful. After such a great three days road tripping from Montana to Wyoming and back again, I’ve got two questions: 1) When can I go back? 2) Who wants to go with me?! 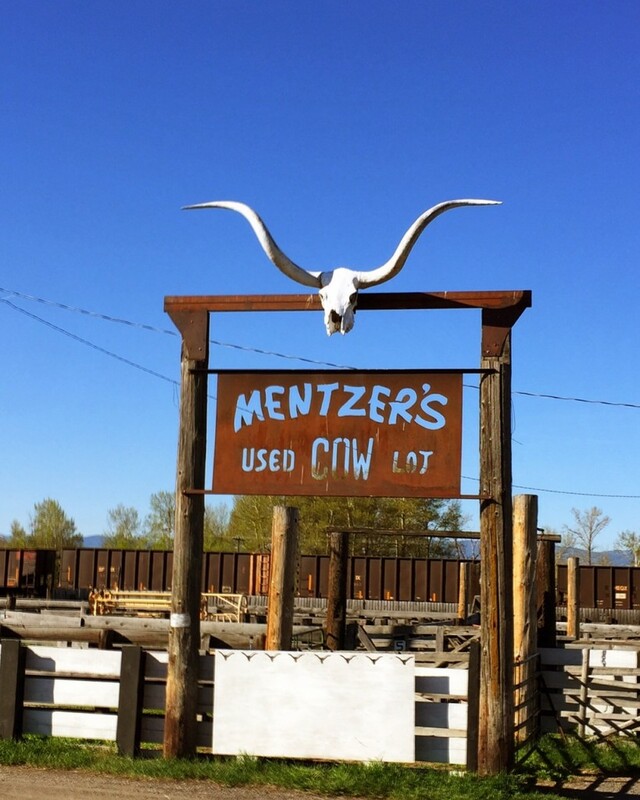 This entry was posted in Montana and tagged Montana, road trip, Wyoming on May 5, 2016 by tiatroy. I’m from Southern Illinois, I took my sister on a trip out west a couple of times. We went thru South Dakota then over to Cody. Absolutely loved it!!! 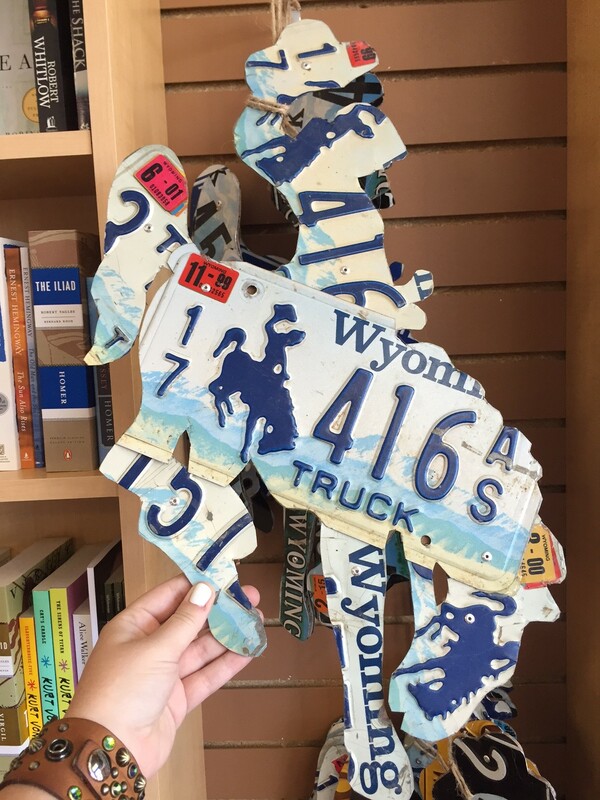 This Mississippi girl loves road trips through Wyoming and Montana. 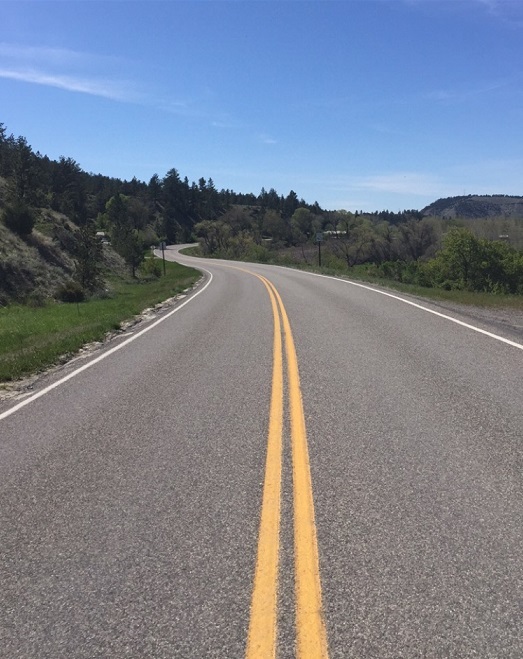 I love Yellowstone, Jackson Hole, the Tetons and the drive through Bear Tooth going to and from Yellowstone from Red Lodge. Thank you for sharing abort Cody. We are going to Yellowstone in July and also Cody good to get some pre information. And you had some nice photos. Thank you. You’re welcome! This Montana girl is happy to help. And I’m positive you’ll LOVE Cody and Yellowstone! The trip looks great. I never visited Montana. Dennis, it’s so gorgeous! Definitely put it on your travel list. You missed your turn at mile post 333. Maybe next time you’ll want to upgrade that road trip. We’ll make it worth your while, I promise. Thanks for the great blogging, Keep it up. Nice writeup! Hoping to get to do some exploring in Montana next summer. Had a small ranch in Cody years ago. Loved Wyoming and wish I could have stayed there forever but with a business in Florida finally sold the ranch. Wyoming is so different from Florida in every way. One thing for sure, the people were always super friendly in Cody!